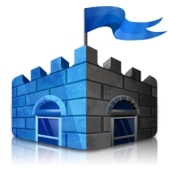 Microsoft has been making a free anti-virus software available for a couple of years, in the form of Microsoft Security Essentials. Microsoft has been bundling a program called Windows Defender with Windows 7, Windows XP and Vista, but it doesn’t really compare to a proper anti-virus product.tyou had to download it from the internet – it wasn’t bundled with Windows itself. With Windows 8, it sounds as if Windows Defender will be beefed up to incorporate the functionality of Microsoft Security Essentials. Effectively, Windows 8 users will be getting out-of-the-box protection against malware, as well as a firewall and parental controls. Anything which encourages Joe User to run up-to-date anti-virus software has to be a positive thing. There are too many poorly protected home computers out there, which have been commandeered into botnets. It’s bad news for those security vendors who rely heavily on consumer sales of their software. It’s questionable as to whether many home users will want to reach into their pockets and pay for security from them if there’s already one built into Windows 8. Frankly, it’s their own fault. The two big security hippopotamuses have had years of opportunity to gobble up the end-user market, and yet still millions of home users were infected by malware, spyware and pop-ups each year. It’s understandable that Microsoft want to clean up the image of Windows – and if commercial anti-virus vendors haven’t managed to do the job, then why shouldn’t they do it themselves? Microsoft’s plans for Windows 8 might mean knee jerk reactions from some vendors, and even perhaps more price-cuts and giveaways in an already aggressive market.